In the lead-up to Tagmarshal’s fifth consecutive PGA Show, we had the opportunity to attend, as a headline sponsor, the Lake Nona Media Day on Monday, 21 January. There were some 75 media representatives present, to whom Tagmarshal presented and demonstrated the new Tagmarshal 2Way mobile system during the afternoon’s golf. Beach continues, adding that an improved pace of play and round time presents additional revenue opportunities at other amenities within the club, such as the pro shop and F&B, “If you play a 5hr round and you get done with your buddies and you look at your watch at the end of the round and you have kids and a family, you’re shot out of a cannon to get home… You can’t hang out at the club for more time… That 27 minutes saved means people are spending more time going into the club, in pro shop checking out the clubs and spending money on a hotdog or hamburger at the club. 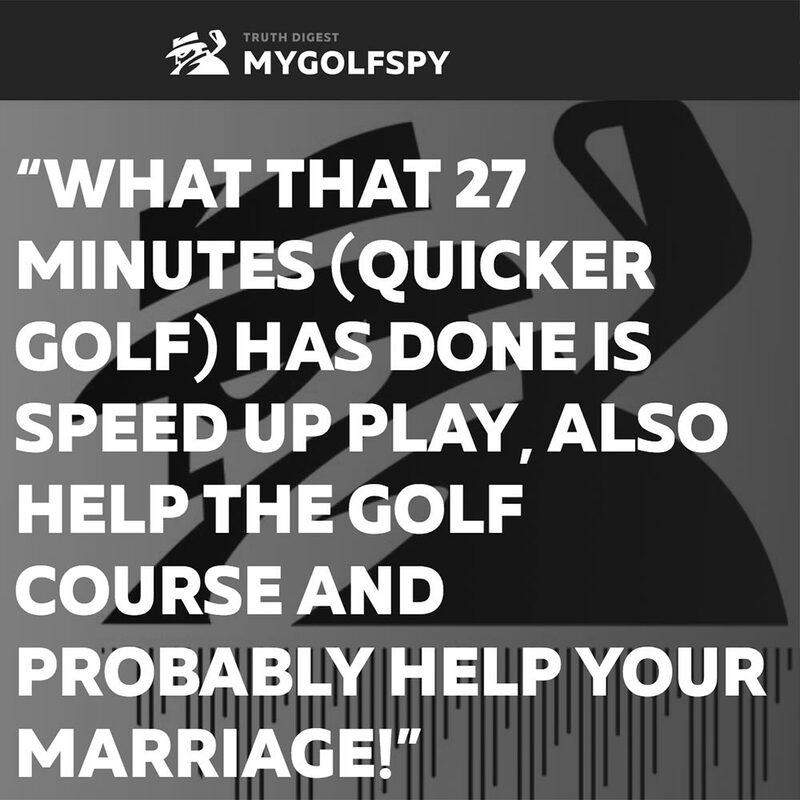 Listen to a snippet of Adam Beach’s MyGolfSpy podcast where he discusses Tagmarshal as a solution that aims to increase pace of play and significantly reduce the time it takes to play a round of golf.